Proxima Command is a new, immersive game experience for teams of 5-7 players. 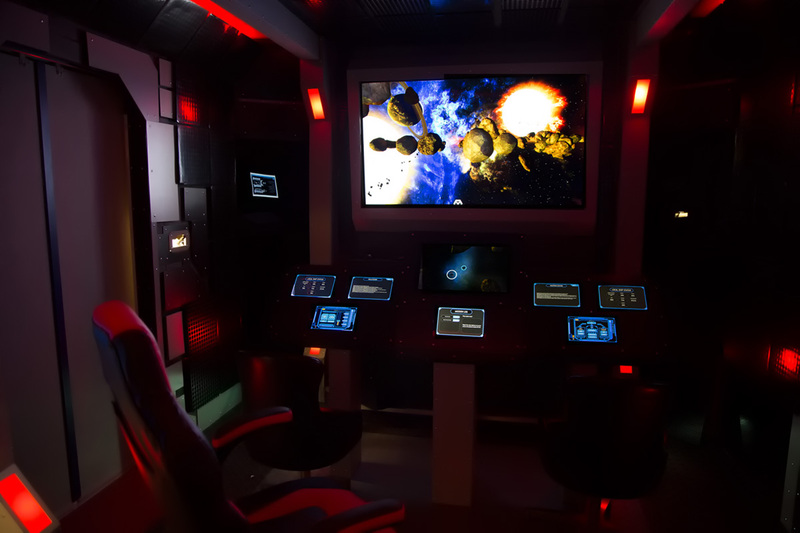 The action takes place aboard a fully-realized starship bridge, complete with over 20 networked tablets and a 65 inch main view screen. Players work together to control helm, weapons, engineering, science, communications, auxiliary stations and of course one will take the captain’s chair to complete the mission. Hydraulic doors hiss open as your team enters the dimly lit bridge of a starship. As your eyes adjust, you make out banks of digital displays and on the main screen the ominous forms of hurtling asteroids. As you assume your stations the onboard AI is alerted to your presence and offers advice for survival. You and your friends have entered the universe of Proxima Command! In our Debut Episode you have 50 minutes to learn the starship systems and complete the mission objectives. Proxima Command is the result of years of work on the part of Michael Chapman and Bob Papadopoulos, friends and life-long sci-fi enthusiasts. The set they have created is a 10ft. X 14ft. X 8ft. custom built structure. It includes over 1.5 tonnes of wood, plastic, metal, and digital equipment. 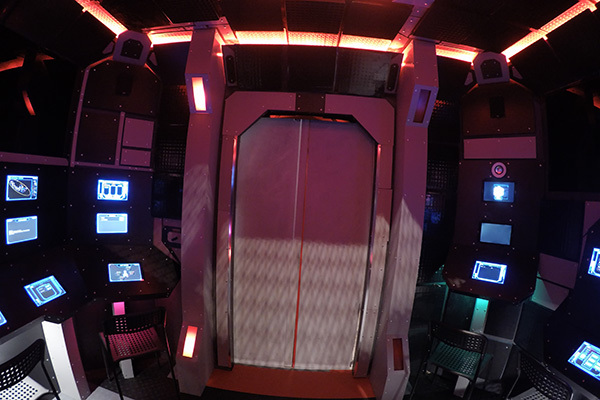 Lighting and sound effects with working hydraulic doors complete the immersive experience. The software has been developed by Glen Watkinson of Stratum Games. If you’ve ever dreamt of being part of a starship bridge crew, three Torontonians have an extraordinary immersive Sci-Fi experience for you. Enter the bridge of a starship and assume your station. Only by working together can you hope to complete the perilous mission. In the the spirit of the popular ‘space-crew survival’ genre we provide people an opportunity to become the characters in a sci-fi episode. Proxima Command will thrill the most avid sci-fi fans, escape room enthusiasts and video game players. The bridge is comprised of 1.5 tonnes of wood, plastic, metal, mechanical and digital equipment. The 10 ft x 14 ft x 8 ft structure was built by professional carpenters. Bob and Michael designed and built the rest. 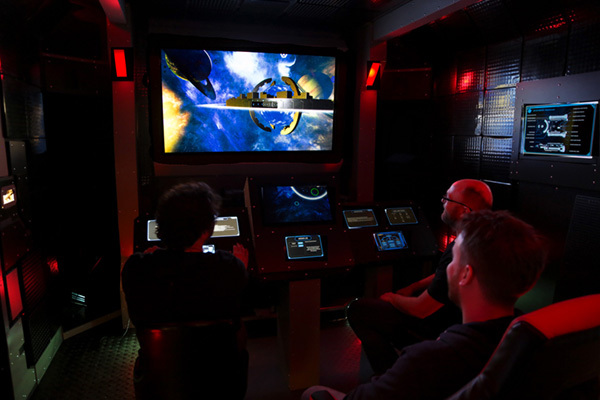 Players get a unique opportunity to feel immersed inside a starship bridge. We opened Friday, April 13th. 2018. A new episode will be released every 3 months after the start date. Media. Facebook, Twitter and Instagram @prxcmd.